Spectrim continues to revolutionize the way produce is packed globally and is picking up major awards on the way. 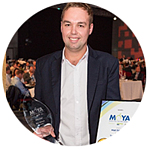 Spectrim was awarded NZTE Innovative Agritech Product at the 2017 New Zealand Hi-Tech awards earlier in the month and the inspection system was behind another win for our very own Matt Stillwell who was crowned the PMA-Produce Plus Marketer of the Year for 2017. The award recognizes Spectrim for its innovation as the most powerful grading platform in the market today, helping customers on their journey to offering the freshest produce and a consistent eating experience to consumers across the globe. To win a Hi-Tech award in New Zealand is a massive accolade, especially with the high calibre of technology companies and the contribution the sector makes to New Zealand’s GDP (8%). “Spectrim is recognized for its innovation as the most powerful grading platform in the market today. It’s helping us to help our customers on their journey to offering the freshest produce and a consistent eating experience to consumers across the globe.” – Mike Riley, CEO, Compac. Spectrim is currently protecting some of the world’s largest fresh produce brands, by ensuring a quality eating experience for the end consumer while delivering a lower cost-per-pack for the packhouse. Additionally, the Spectrim marketing campaign was recognized at Hort Connections 2017 where Compac’s Digital Marketing Manager, Matt Stillwell was awarded Marketer of the Year at the gala dinner. The success of the campaign was evident not only in the impressive sales results – hitting more than NZ$50m in its first year – but also in the boost it offered to the brand reputation of fresh produce sorted with Spectrim, and the position the technology has secured as world-leading. “It was amazing to go up against some great marketing campaigns and fellow marketers,” Stillwell said. “Winning the Marketer of the Year Award will lift Compac’s and Spectrim’s profile, and hopefully will help leading produce brands and marketers realize the importance of protecting their brand reputation and the role a product like Spectrim can play in ensuring the quality eating experience for the consumer." 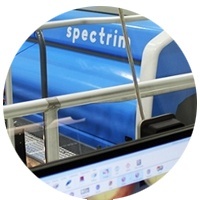 For more information on Spectrim you can contact us or watch the behind the scenes video.